The highly-anticipated Queen biopic Bohemian Rhapsody, had its creators and cast singing We are the Champions opening weekend. Despite mixed reviews from critics, a normality for most biopics, the film took first place at the box office. It earned 3.9 million dollars in North America on its opening night and 50 million over its first weekend in theatres. Director Bryan Singer has faced heavy criticism regarding the cookie-cutter formatting of the biopic. It was suggested that Singer overreached in efforts to make Bohemian Rhapsody too inclusive when it should’ve focused only on true fans of the wonderfully weird group of musicians. Some felt the former X-Men director attempted to stretch the journey of Freddie Mercury and his bandmates so far to the less loyal audience members in the back, that the plot had been stretched flat — smothering an opportunity for a depiction of a story as memorably unique as Mercury himself. Singer was still given a solo director credit despite his late firing from the film, after not returning to set after Thanksgiving break. Actor/director Dexter Fletcher was announced his replacement. Fletcher was knowledgeable of Mercury and his bandmates, having once dipped his toes into the starts of his own Queen biopic. Aside from the complications and critiques of Bohemian Rhapsody, audiences and critics agree that Rami Malek’s uncanny portrayal of Queen’s famously flamboyant frontman, iconic gestures included, made a lasting impression that kept the film afloat. Only proving that in biopics where rock gods and legendary performers are essentially being recreated, casting is everything. Malek’s mesmerizing performance, paired with some of Queen’s greatest hits, emanated in ‘70s nostalgia and has since begged the question; which music icons could be the future centers of biographical films? 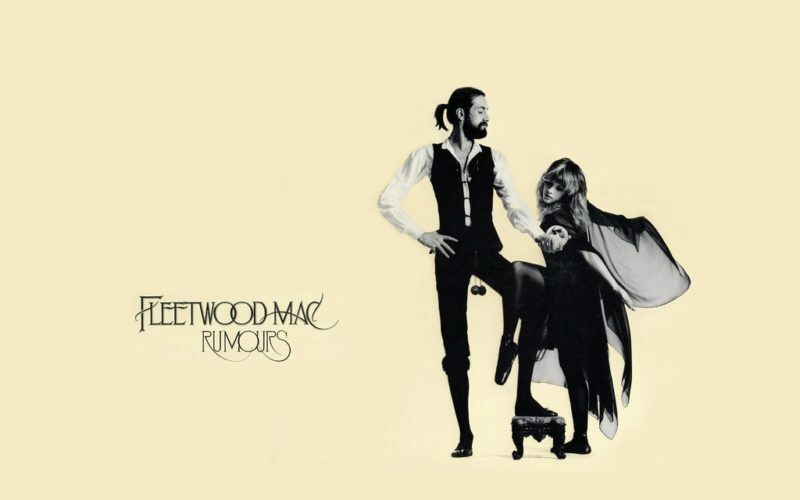 A Fleetwood Mac biopic would be interesting to say the least. The group was founded and thrived on member exits, replacements, returns, and heartbreaks. Only one original founder endured all the ups and downs of creating some of the best-selling folk-rock albums of all time — drummer, Mick Fleetwood. It’s no secret that Fleetwood Mac’s time spent together wasn’t all highs. The band went through personal turmoil while recording Rumors. Both romantic partnerships (John and Christine McVie and Buckingham and Nicks) separated but despite the relationship complications, the band continued to produce music together for three more studio albums. The legendary rock group continued to suffer from fallouts, to be saved by reunions, again, and again and minus Buckingham (a final fallout for the lead guitarist), Fleetwood Mac is still touring today. A biographical film of the group would need to pay careful attention to the formation of the group, detail the fallouts, as well as depict how the members successfully collaborated on some of their greatest hits, despite trouble in their personal relationships. Years ago, Nicks suggested that if a biopic were ever done on the group, she would want actress Reese Witherspoon to play her. However, too much time has passed, and creators would need a younger actress to play a youthful Nicks being discovered and joining Fleetwood Mac. A possible casting could be Fifty Shades of Grey’s Dakota Johnson. Like Fleetwood Mac, the English rock band The Rolling Stones, maneuvered around plenty of member exits and new sign-ons. However, the band’s primary songwriters and most famous members, lead vocalist Mick Jagger and guitarist/back vocalist Keith Richards, remain part of the still-touring rock group today. Charlie Watts, who has been ranked 12th greatest drummer of all time, also tours with the Rolling Stones 56 years since their formation. 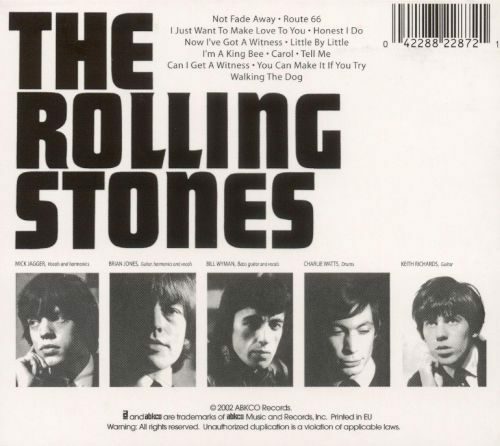 The Rolling Stones continued to make successful albums in the early ‘70s, with their 1974 release It’s Only Rock n’ Roll, that reached number one in the U.S. and number two in the U.K. However, the group’s now renowned success wasn’t without complications. In the mid to late ‘70s, Richards’ performances and public appeal had declined due to a heroin addiction. The group’s back vocalist and guitarist delayed a 1977 Rolling Stones appearance in Toronto after he was arrested for drug possession and importing narcotics into Canada. Richards’ drug addiction ignited an ongoing feud between him and Jagger, which only intensified with disappointing record sales and Jagger’s tip-toeing into his solo career. The Rolling Stones are rumored to be touring in 2019. The jauntily juvenile Australian rock band AC/DC has been the center of multiple documentaries as well as live-concert recorded films. However, the “T.N.T” performers have yet to see their own biopic. Similarly, to several other developing bands in the ‘70s and ‘80s, AC/DC underwent several member changes (including a brief recruitment of Axl Rose). Although their most disheartening member exit came in 1980 just a few months after recording the album Highway to Hell. Lead singer and co-songwriter Bon Scott died of alcohol poisoning. The group considered breaking up but instead brought in Brian Johnson as a replacement for Scott. 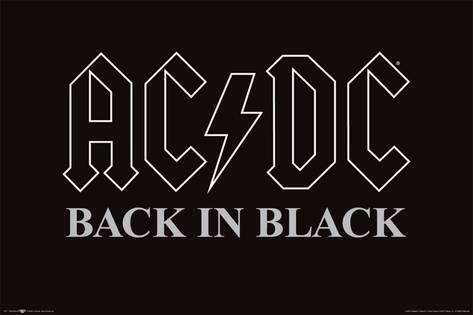 Later that same year, AC/DC released Back in Black as a tribute to their original front vocalist. The album soared the band to new heights on the charts and became their all-time best-seller. The release of AC/DC’s next album For Those About to Rock We Salute You, the group’s first to reach number one in the U.S., marked a dual-decade-long journey of member exits and rejoins, forced retirements and commercial decline and regain. In 1983, the band fired drummer Phil Rudd due to a drug and alcohol-related physical confrontation with bandmate Malcolm Young. In the two years following Rudd’s departure, AC/DC’s music suffered harsh reviews and the group was even called “the biggest disappointment of 1984.” Rudd returned a year later, contributing to Ball Breaker. The band’s commercial success wavered until the soundtrack for Stephen King’s 1986 film Maximum Overdrive called Who Made Who and regained full strength with Blow Up Your Video and The Razor’s Edge. Riding on a resurgence in popularity and commercial success, AC/DC continued to tour and produce new music for their loyal fan base. However, the group faced yet another disheartening member loss when Young was forced into retirement due to his ongoing battle with dementia in 2014. Young died just a few years later. Rudd was removed from the band for the second time, the same year of Young’s death, after receiving extensive criminal charges including attempting to procure a murder and possession of methamphetamine. Johnson exited shortly after due to hearing loss and risking complete deafness on the road. Possible castings for an AC/DC biopic could be Russell Brand as Bon Scott and Cillian Murphy as Phil Rudd.